After completing the Advanced Open Water Diver Course you are ready to learn more about preventing and handling diving related accidents, such as reacting to panicked divers, handling unconscious divers and much more. 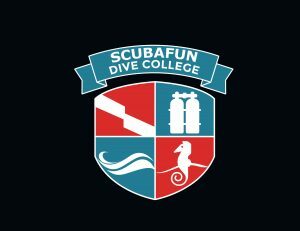 This course is according to many divers a great way to increase your comfort level and confidence during dives. The course is again divided in skill practice and theory classes, again you have the option to do the theory part at home in your own time, so you get to enjoy your holiday instead of studying. As one of the few dive centres in Bayahibe with access to a swimming pool we have the tools to practice the more difficult skills in the pool first. Have a PADI Open Water Diver certification or equivalent certification from any other training organization. Have a PADI Advanced Open Water Diver certification or equivalent certification from any other training organization. Be able to answer no to all questions on the medical form and agree to sign the liability release (see paper work under more information). Minimum time to complete the course is 2 days. Price including online certification and E learning or book $425. Including the EFR Primary and Secondary Care $525.